You are at:Home»Opinion»Is Bitcoin a Bubble? I have believed for a long time that knowledge, wisdom, and understanding are more valuable than anything tangible. Having those three things can get you just about anything you want or need. They can empower you to gain wealth; empower you with common sense not to let wealth change you in a negative way; empower you with an intense desire to help someone pull themselves up by the bootstraps and lift them out of their condition so that they, too, can teach and help someone; or, lack of these three things can utterly destroy you and an entire people. 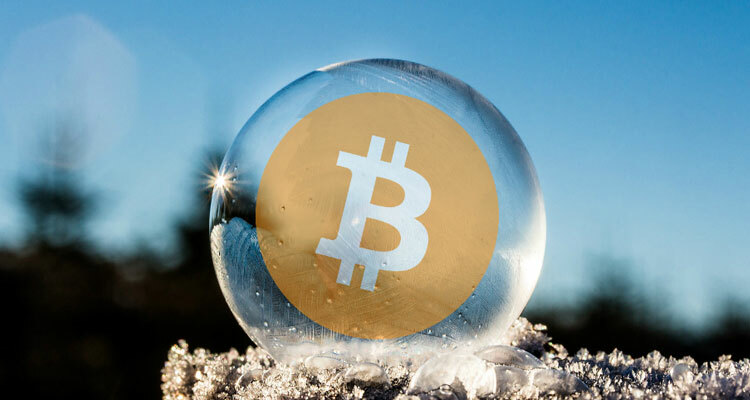 To answer the question as to whether Bitcoin is a Bubble, one has to be able to see and understand the big-Bitcoin-and-cryptocurrency-picture and the way money evolves. Barter – Exchanging a bag of wheat, for example, for an ax. Problem: No set exchange rate. Precious Metals – Gold, silver, nickel, copper. These were cut down to the size of a coin to make them easy to carry. Solved exchange rate problem. Problem: Not portable enough. Scarce. Rocks have no intrinsic value. Paper Money – Back by gold. Easy to carry, but prone to inflation. Problem: Can be counterfeited, hoarded, and controlled by banks. Paper money has inflated and ruined economies all over the world. Cryptocurrencies – Bitcoin and cryptocurrencies solve all of the problems listed above. That cryptocurrency solves the problems with money that has plagued the world for the past 3000 years is the reason why it is not a bubble. I remember back in the day when the Internet came on the scene. I heard the same talk that it “Is a bubble.” There was no Internet bubble and there is not one now. The Internet is bigger than ever. It is difficult to envision a world today without it. Everything is hooked into it. Bitcoin and cryptocurrency is “The Internet of Money.” Not to far away from now in the future, it too, will be hooked into everything. We are seeing that happen slowly right before our eyes. Yes, it will take some time. There will be resistance. This is natural when one money system replaces another. No, there is no Bitcoin bubble. At present, there is $440 billion worth of cryptocurrencies out there. Bitcoin occupies a 62.6% cryptocurrency market dominance with nearly $276 billion of that $440 billion! Yes, most of the cryptocurrencies in the “crypto-space” are scams and junk coins. I estimate 85% of them are. But Bitcoin is not one of them. The world is plugging into cryptocurrency. The world is waking up and evolving into this fourth-generation of money. It cannot be stopped. The world is adopting Bitcoin. One-Hundred-Thousand-Plus accounts per day are opened on Coinbase. Why? So Bitcoin can be purchased. According to Credit Suisse’s “Global Wealth” in 2017 there are 15.3 million millionaires in the world. I will venture to say that they want some Bitcoin. At present, there are about 16.6 million Bitcoins in circulation (out of the 21 million) and most of them are held by people who are not selling. That causes the price to go up. The CME Group is about to start selling futures on Bitcoin. This will drive the price of Bitcoin up. When futures on Bitcoin start to sell, we will see Exchange-Traded Funds (ETFs) start to buy Bitcoin. Which means the trillions of dollars in IRAs and 401(k)s will start to buy Bitcoin-linked assets. Russia just announced they will make Bitcoin legal. Bitcoin is not in a bubble. Far from it. But you have to be smart and knowledgeable out cryptocurrencies and be able to see and understand the big picture. Bitcoin will have sharp increases and drops in value. But do not panic. This is normal. This is how the cryptocurrency marketplace moves. It has high volatility. Knowing and understanding that is half the battle of stabilizing the cryptocurrency Investors mindset. You are a cool customer. You see the storms ahead. You also see the calm and wealth after the storms pass. Next Article Coinbase Transaction Fees Are High!